Two friends and I headed down to Pompano Beach on Tuesday in search of some fishing action. When we arrived we were unable to find any pilchards at the bait shops and had to settle for just 3 or 4 goggle eyes each to last all day. At the launch we found seas that were not good but not bad either. 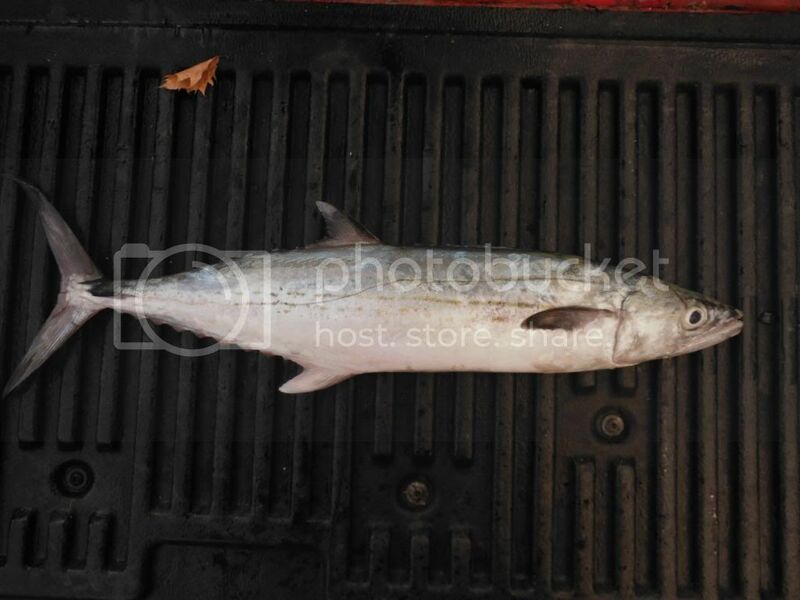 Not long into our troll out to deep water one friend doubled up on a couple cero mackerel, but one manages to get off. He brings the landed mack over and puts it into my fish bag. In about 140 feet of water we start to see weed mats. Under one of the weed mats I see some commotion and go for a closer look. The commotion ended up being a couple dozen small trigger fish, but under them were 2 schoolie sized mahi, we couldn't get them to bite before they left. I spot some birds diving in the distance at around 180 feet, we started heading towards them. The birds left before we could even get close but we kept toward the general area anyway. When we get there the same friend's trolled rat-l-trap got nailed and his line started leaving his reel in a hurry. I turned around to watch and was just in time to see a large black fin tuna blow a huge hole in the ocean and inhale my goggle eye, the fight was on. I got my fish close to the boat, close enough to see him, and he mad a super high speed run straight down. My drag couldn't keep up and he straightened out both hooks on my stinger rig. I paddled over to help my friend with his fish, his wasn't even close to the boat yet. As he started getting the fish close to the boat we could tell he had a nice tuna on as well, we could also tell he was in trouble. The tuna was swimming in circles, tangled in his second line. The more the fish circled, the worse the tangle got. Eventually the fish took off on a run and the line could do nothing but break. Before he had a chance to feel down about the lost fish his second rod, the goggle eye, gets hammered. The lines are still tangled at this point so the 50 pound line just snapped like its was nothing. 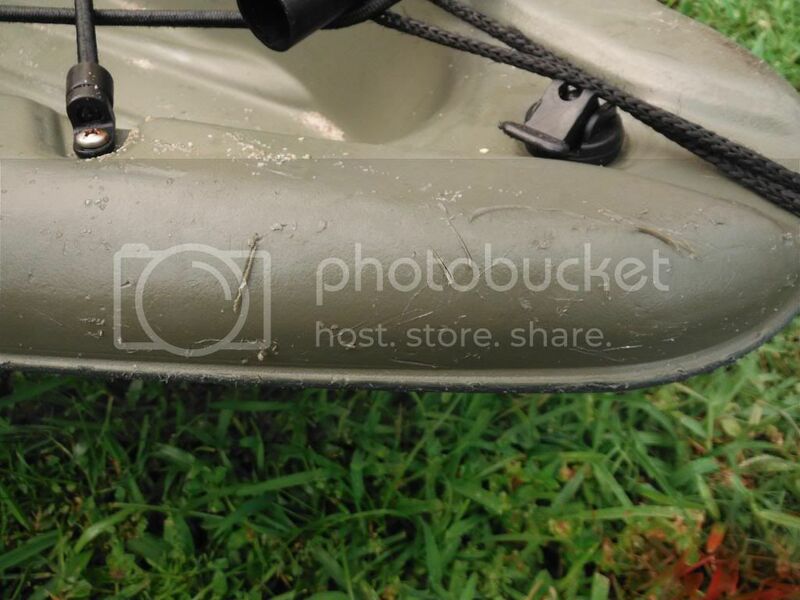 Seeing this I quickly re-rigged and sent a another goggle-eye down, it got smashed within 20 ft of the boat. 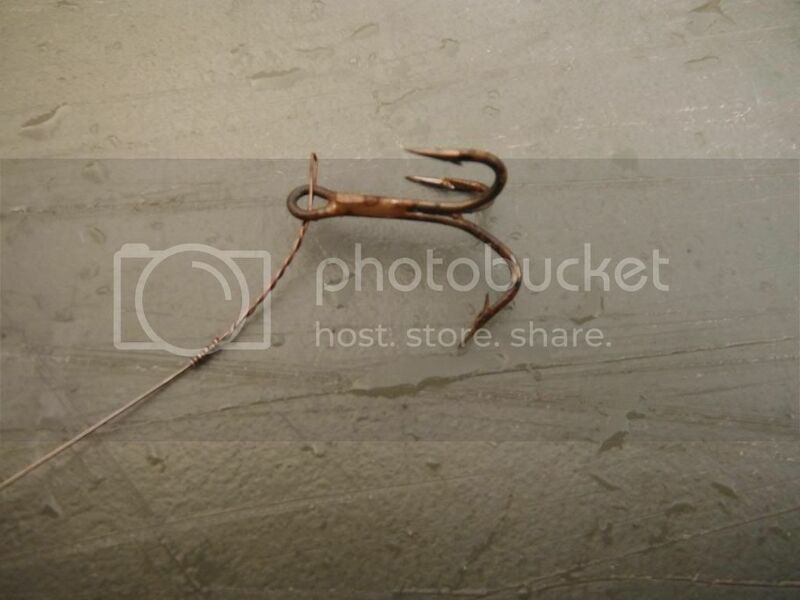 The hooks did not stick very good and quickly pulled. I sent another goggle-eye out only to see it get sliced in half by a king in a matter of less than 10 seconds, he missed the hook. 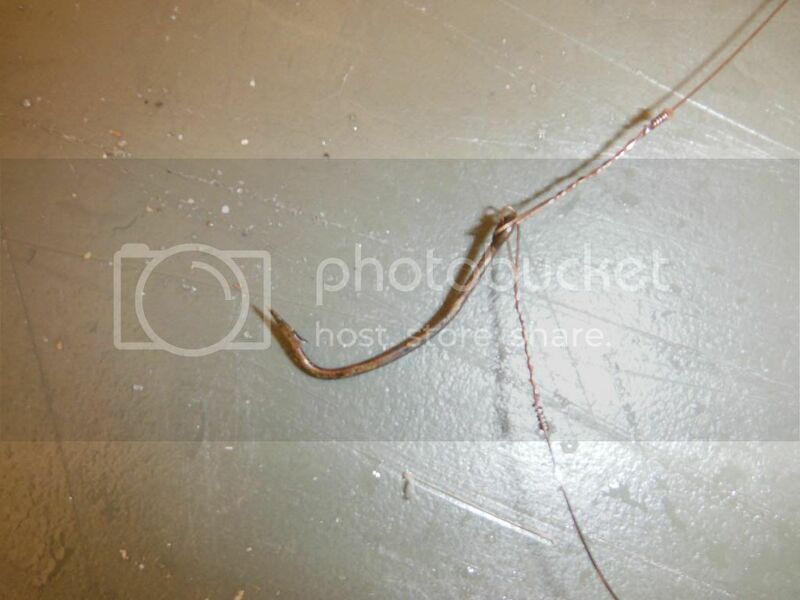 I set-up a rig with 2 stinger hooks, leaving hooks from head to tail of my last goggle-eye, and sent him down. I didn't even get the rod into the rod holder and my last live bait got annihilated by another king, somehow the fish still missed the hooks . Both friends had similar experiences with their live baits. 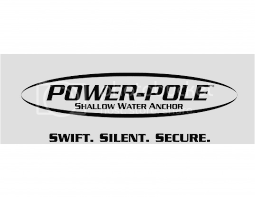 With no other choice we started trolling with artificial plugs and spoons until we reached the wrecks to start jigging. Several large bonita were caught on the arti's. We got to the wrecks and we couldn't buy a bight on jigs. I can only suspect that because the current was non existent the fish weren't hanging on the wrecks. So we started trolling again, and again we were catching large bonitas. At on point I got a huge hit on a deep diving plug, the line was violently snapped before the fish even completed its first screaming run. Now for the fun part. We found a beautiful defined color change with a tone of floating weeds. As we fished this text book spot we continued to catch bonita and watch flying fish jumping all over. Suede casted out a shallow diving plug on his inshore spinning rod rod, only to watch the lure get smashed and all of the line disappear from his reel, in seconds. Just a few minutes after that I hear one friend yelling for the other to look behind him. 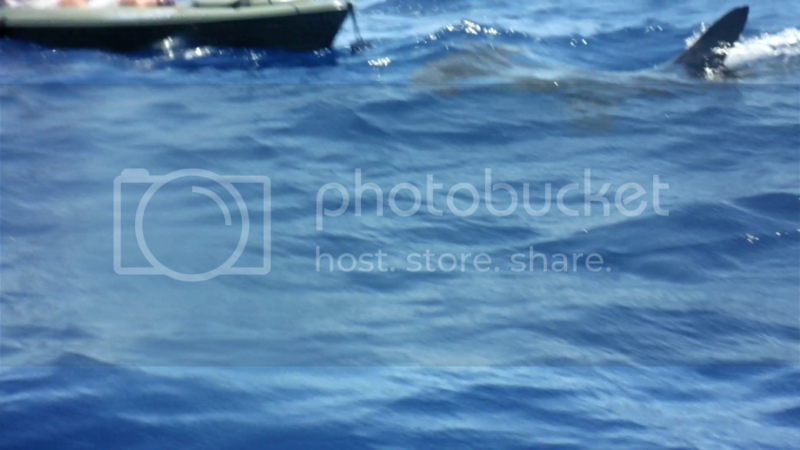 When I looked I saw about a 10 foot hammerhead shark following second friend. 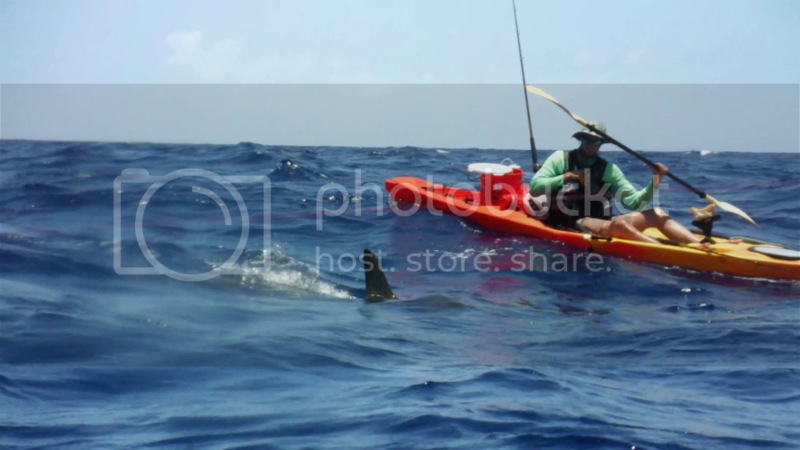 About the time he realized what was behind him the shark surged forward, raised his head from the water and wrapped his mouth around the back of his kayak. I guess the shark had developed a taste for Pelican. My friend was not having any of that and like a samurai warrior began his counter attack with his paddle . The shark let go and came around for a second run. 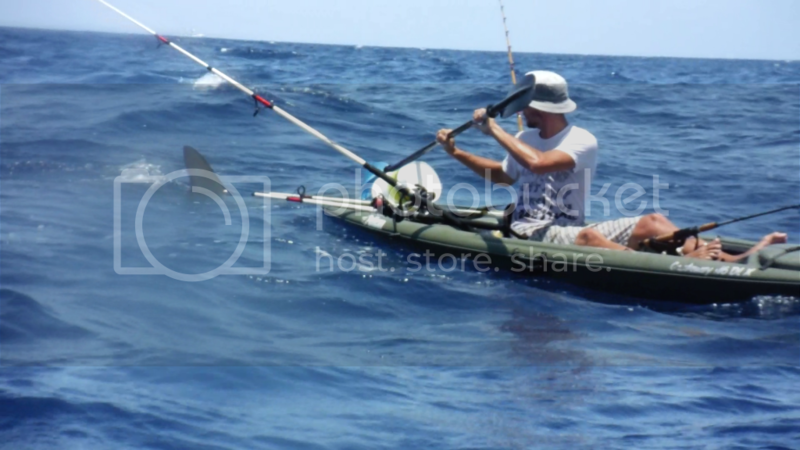 The shark pulled along side of him and began rubbing on the side of the kayak, he struck again with several precise blows. The shark tried this a couple more times, with the same result. 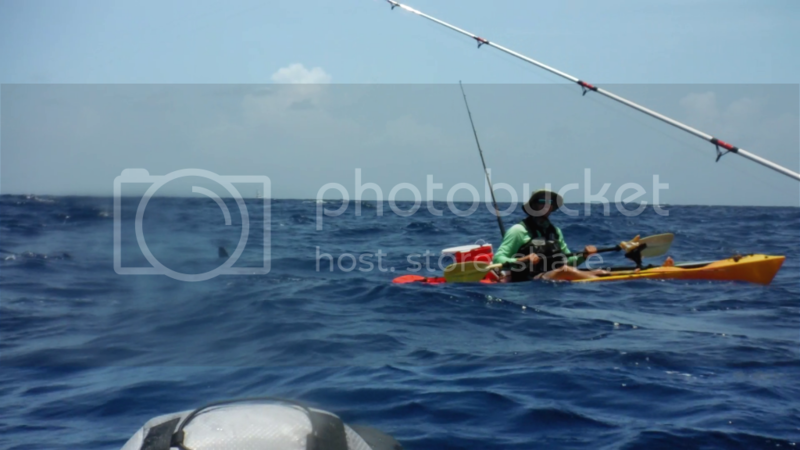 The shark decided that he did not like getting wacked on the head with a paddle and stopped. The shark hung around and followed Suede for a few more minutes before giving up. At this point Suede was ready to hit dry land, so we headed for the beach. 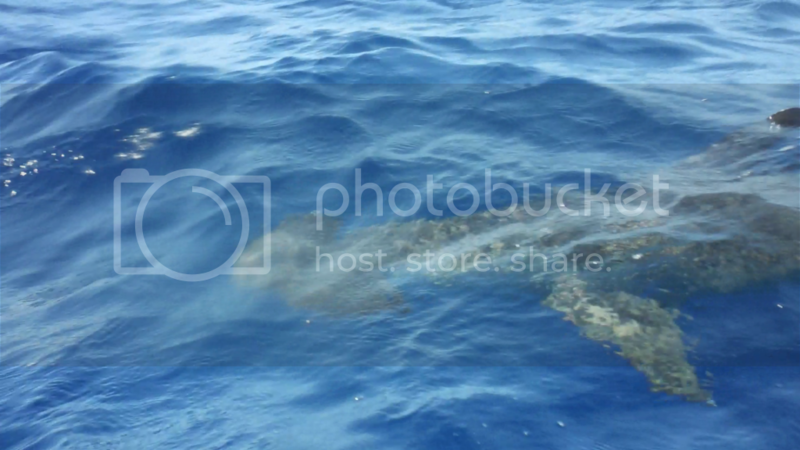 Below I have attached the video from the shark encounter and a couple pictures. 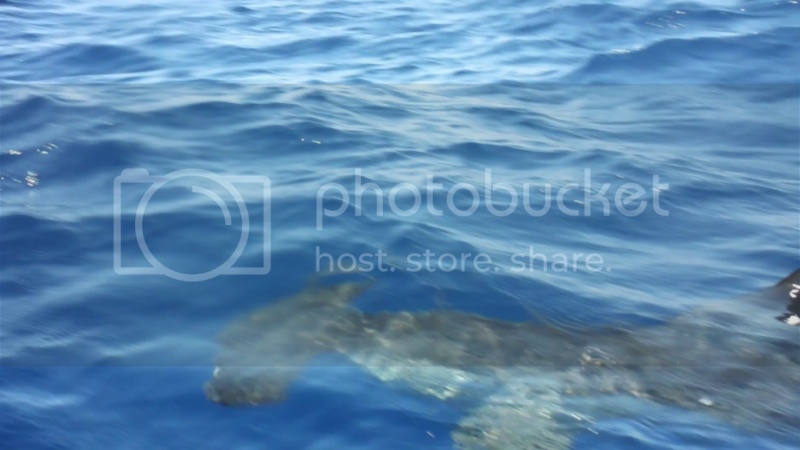 I did not get the entire shark encounter on video because it happened so fast, but I got some. "If you're gunna be stupid, you gotta be tough!" Last Edit: 5 years 9 months ago by YakSushi. WOW! Now that is the way to make a first post! Good pictures and video. Glad everyone was safe and ad some good catches. Welcome to YakAngler Devodud! Tight Lines and Smooth Paddling!